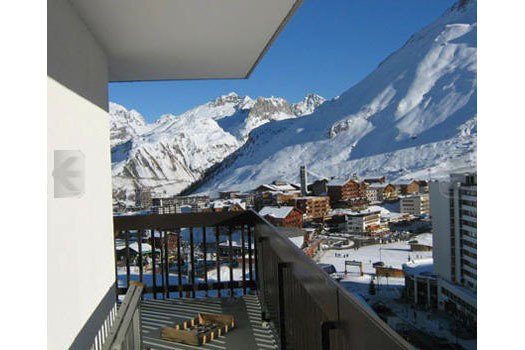 The Bec Rouge apartment is in a central ski-in/ski-out location in Tignes Le Lac. 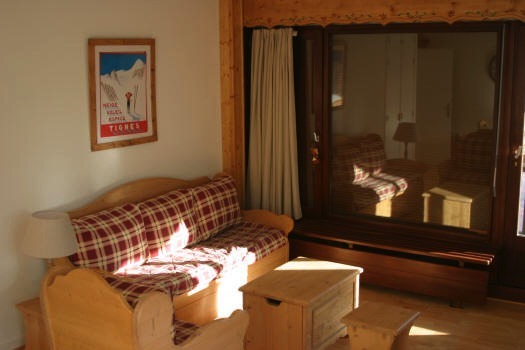 Situated between the Millonex and Gentiane pistes, and a short ski down to the Palafour 6 person chair and Aeroski gondola, you’ll find this a fantastic location whichever direction you decide to ski off to in the morning. 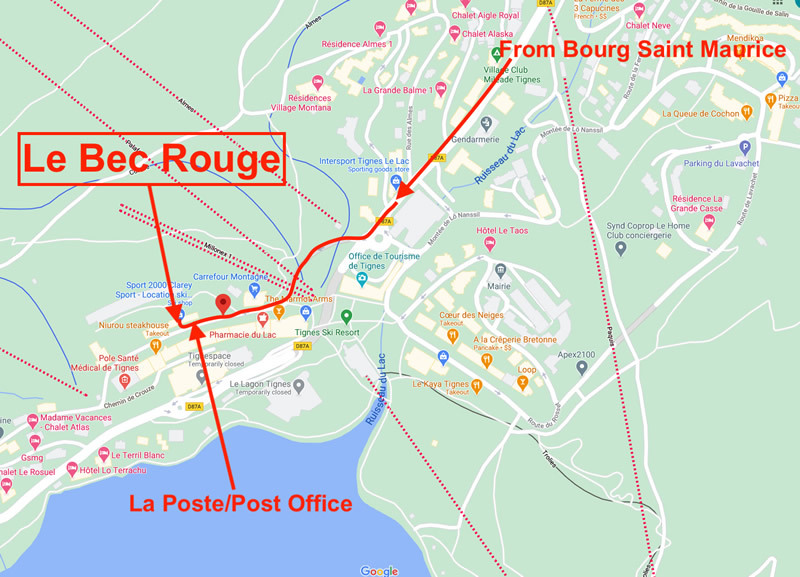 There’s a great selection of shops, bars and restaurants within a short walk from your door, and the 5000m2 ‘Lagon’ indoor swimming pool, waterslides, spa and gym at the bottom of the road means that you’ll never be short of something to do when you’re not on the slopes. 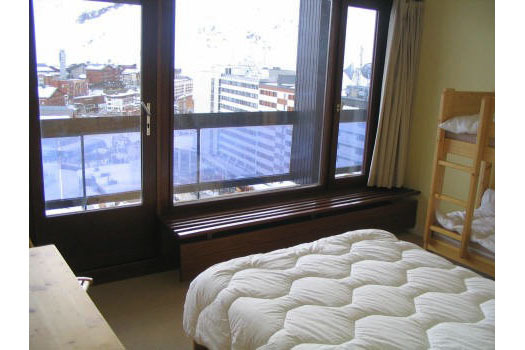 Apartment 951 is on the 5th floor, accessible by lift, and boasts beautiful views from the large balcony which extends around 3 sides of the large apartment. 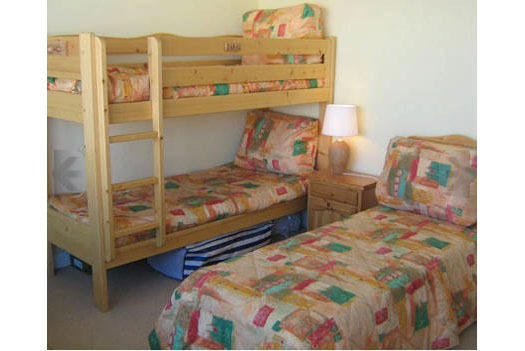 As you walk into the apartment there is a reception area with a set of 3 bunk beds, to the left is the kitchen and straight ahead takes you into a hallway with a double bedroom, separate bathroom and toilet, and a second double bedroom with en-suite. To the right of the reception area is a lovely large, bright dining and living area with dual aspect views. 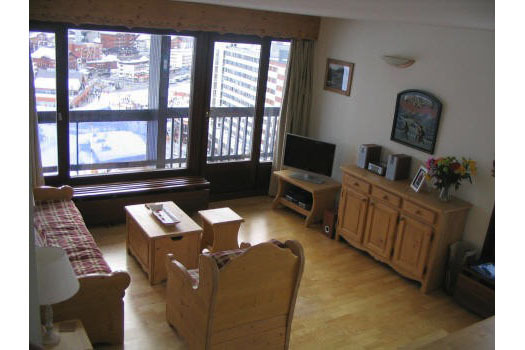 You’ll find this apartment feels very bright and welcoming with lots of large windows and light solid wood flooring. The kitchen is well equipped, including a full size oven, four electric hobs, a microwave, a large fridge with icebox, a dishwasher and a kettle. The large living/dining room is equipped with everything you need to enjoy your stay including a flat screen TV, Sky TV, CD/DVD player, an Xbox games console with games and free Wifi internet access. 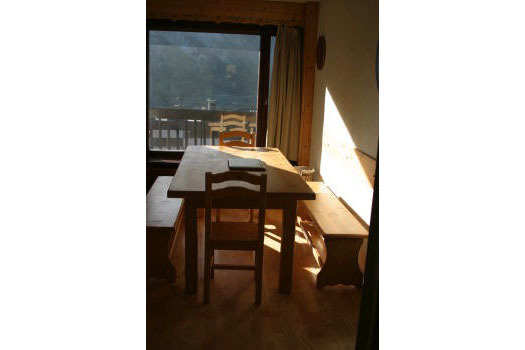 There is a generous dining table which seats up to 10 people for when you don’t feel like dining in one of the nearby restaurants. The master bedroom has a large double bed and the en-suite bathroom has a full size bath with wall-mounted shower attachment. 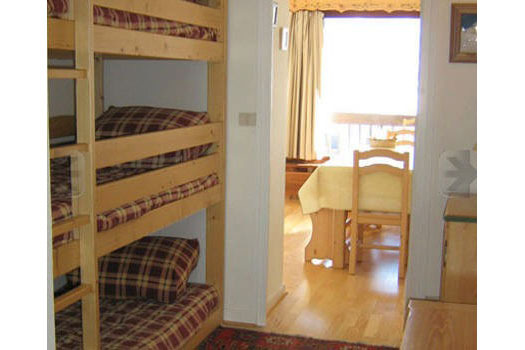 The second double bedroom includes a double bed and bunks. 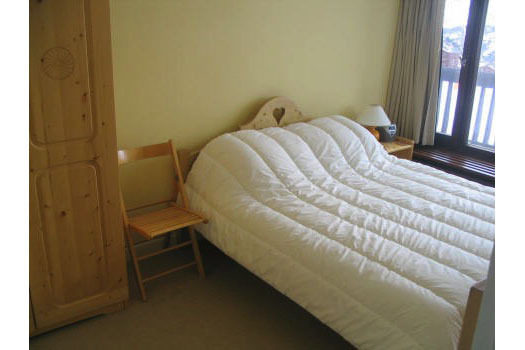 In total there are beds for 9 people, with additional sleeping for 2 people on the sofa bed in the living room. The separate bathroom also has a full size bath with wall mounted shower attachment. Parking can be booked in the building for €70 a week depending on availability. I would just like to say a big thank you. 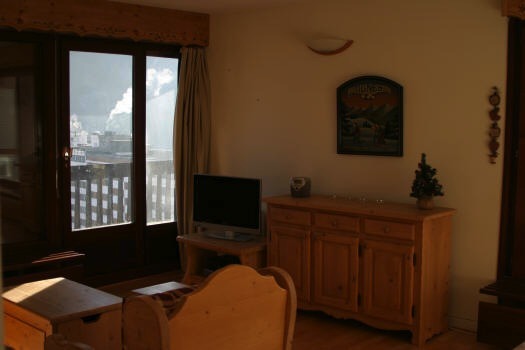 We had a really great time, and the apartment/location was excellent. 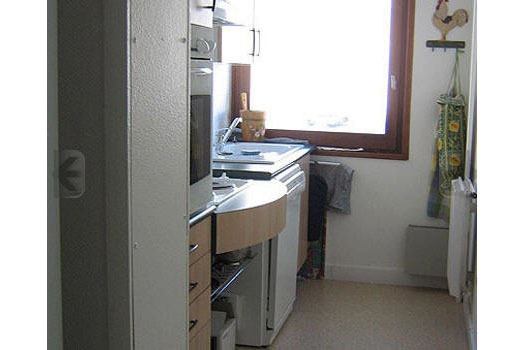 Often you don't know what an apartment is "really" like until you get there, but in this case the pictures on the web were a true reflection. 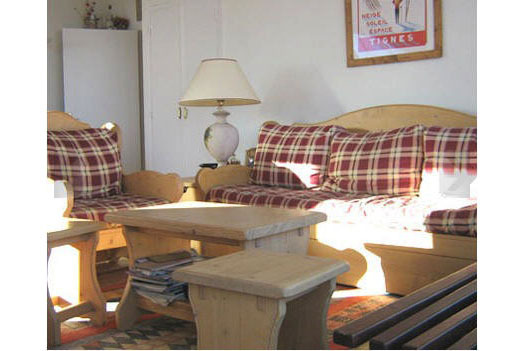 Brilliant apartment in Le Bec Rouge. Thanks for your help in booking it. Just back from a great week at Bec Rouge. Super apartment and location. The skiing was perfect. Thanks for getting just what we wanted.